Responding to a query on doubts raised by Pakistan over the operation as India did not release the footage of the operation, Home Minister Rajnath Singh said, “Just wait and watch”. 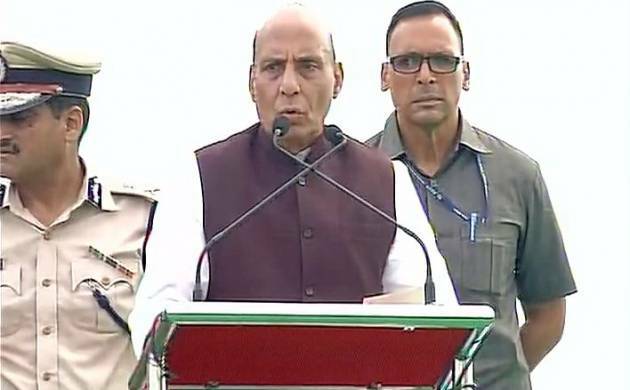 Indian soldiers have displayed their valour to the entire world and made the country proud by the manner in which they carried out ‘surgical strikes’ against terror launch pads across the Line of Control, Home Minister Rajnath Singh said on Sunday. “The country as well as the whole world is aware of this (surgical strikes)..the way our jawans displayed valour and have made India proud,” Singh told reporters here after inaugurating a ‘smart toilet’ constructed here under Swachh Bharat Mission. Responding to a query on doubts raised by Pakistan over the operation as India did not release the footage of the operation, the Home Minister said, “Just wait and watch”. On Friday, Army had trashed media reports in Pakistan about Indian casualties during the operation in which about seven terror shelters across the Line of Control were targetted. Army had also said “black propaganda” was being carried out by some Pakistani TV channels showing “morphed” video clips depicting Indian Army casualties.